Gardening with Class — Good Form Design Co. This program was created for the Master Gardener Association of San Diego County for their annual Gardening with Class workshop and seminar. 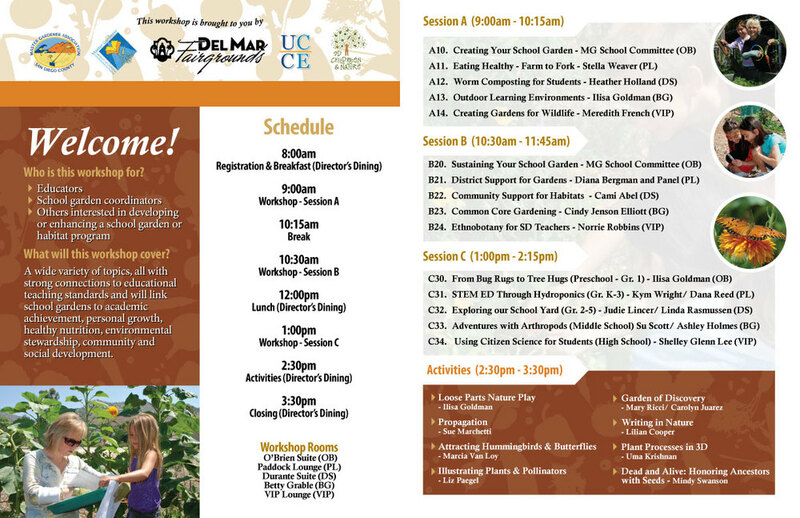 The event is provided to teachers, school garden coordinators, and anyone interested in enhancing their school garden program. As the event takes place during the fall, we went with an autumn colour scheme and created a fun fruit and veg surface pattern for use in various ways throughout the brochure. As the educators range from grades 1-12, it was important to make the program fun and visually appealing but not too childish.